Arts news. Damon Albarn on his new album Everyday Robots, the Proms line-up revealed, novelist Sophie Hannah, and Art Fund Prize shortlist announced for the Museum of the Year. 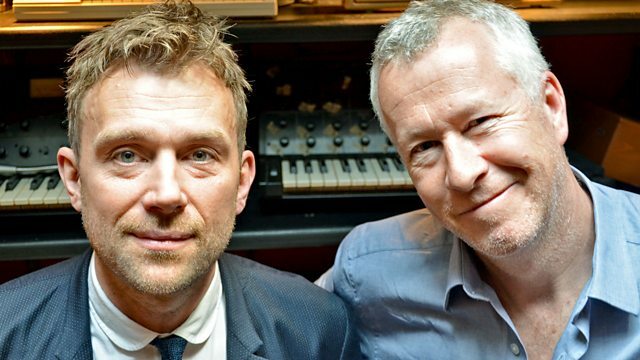 John Wilson is in the recording studio with Damon Albarn to discuss his latest album Everyday Robots, an autobiographical journey in which he returns to his childhood and his London and Essex roots. Albarn describes the stories that lie behind the songs of this his first fully-realised solo album. Roger Wright reveals the line-up for his last ever BBC Proms. The poet and crime writer Sophie Hannah on her new novel The Telling Error, a psychological puzzle about about the seductive appeal of lying. Plus The Art Fund director Stephen Deuchar announces the shortlist for the Museum of the Year Prize. For more information on this year's BBC Proms which run from Friday 18 July until Saturday 13 September 2014, please visit the BBC Proms website. Everyday Robots the new album by Damon Albarn is out on Monday 28 April 2014. The Telling Error written by Sophie Hannah is published by Hodder & Stoughton on Thursday 24 April 2014. For more information on the prize please visit the Art Fund website.